S60 devices have rules the world for a long period of time but now the times have changed. Introduction of the android as well as the modifications Steve Jobs did to the Apple inc. made sure that these handsets come in the range of the general public. Gone are the days when people use to purchase Nokia E series with pride and honor and now these devices are not only considered outdated but are being replaced with iPhone at a rapid pace which leads the users to several issues like contact transfer from old Nokia device to new iPhone. 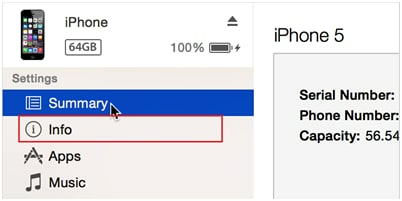 This tutorial will guide the users through the process of transferring contacts from old S60 devices to new iPhone keeping in view the ease of user as well as the transfer process. 1.It is safe to use as there is no cloud technology involved in this regard. 2.It can transfer almost 90,000+ contacts in a single go. Step 1.The user needs to visit the official website of the Wondershare to download the program. 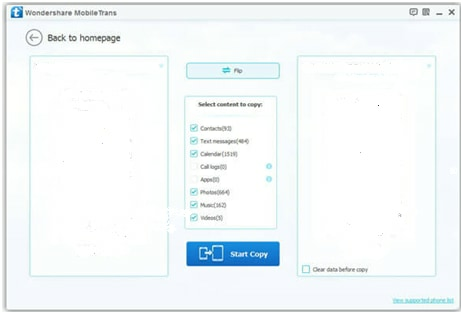 The URL that will lead the user directly to the program is http://www.wondershare.com/phone-transfer/ and once the software program has been downloaded it is advised to make sure that the program is run to get the main interface. 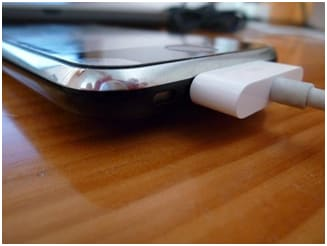 Step 2.The user needs to connect the devices to the computer through their respective USB cables to make sure that the software detects them without any issue. Step 3.The user then needs to make sure that the “Start Copy” button is pressed so that the core operation of the process is initiated for which the software has been downloaded. Step 4.The data transfer will take place at once and once the transfer is completed from one platform to another the process also finishes. It is also a simple method which makes sure that the best is delivered to the person using it in the best possible manner and step by step as directed. It can also be regarded as a layman process as it is too easy to follow and for the same reason it also makes it possible for majority of users to follow without any hassle and problem. It can be regarded as the first part of the two part process of SIM transferring of contacts from Nokia to iPhone. Following is the process in this regard. 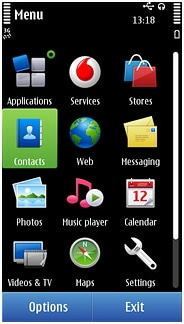 Step 1.On the Nokia phone the user has to press the menu button. Step 2.Once the menu is accessed the user needs to press the contacts to move forward. Step 3.On the next screen the options button is to be clicked. 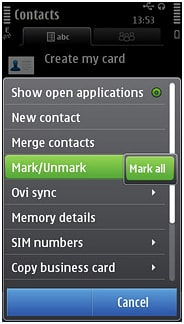 Step 4.The option of mark/unmark is to be selected. Step 5.Now the option of Mark all has to be selected. Step 6.Now again the option key is to be pressed. Step 7.The user now has to select copy option. Step 8.On the next screen the user has to select the Copy to SIM card option to finish the first part of the process. Step 1.The settings icon is to be tapped within the menu of the iPhone after inserting the SIM card of Nokia Mobile which has all the contacts. Step 2.The mail, contacts and calendar option is then to be tapped. 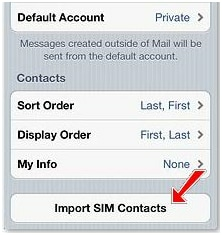 Step 3.On the next screen the user needs to tap “Import SIM contacts” and tap the bar to finish the process and to import all the contacts to the iPhone. 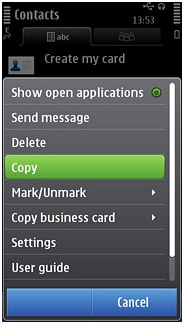 Step 1.The user needs to make sure that the Nokia phone is connected to the PC and the OVI suite is launched where the user has to select sync and then sync options. Step 2.On the left panel the user needs to select contacts and then the MS outlook. Step 3.On the next step the sync all button is to be pressed. Step 4.The successful sync prompt will be shown as unde. Step 5.The user then needs to connect the iPhone with the PC. Step 6.Once it has been done the user then needs to make sure that the iTunes are launched and the info tab is clicked after selecting the device from the left panel of the program. Step 7.The user then needs to select the Google contacts from the dropdown that has been embedded within the windows contacts and follow the prompts to configure the iPhone and transfer all Nokia contacts to iTunes and hence iPhone. 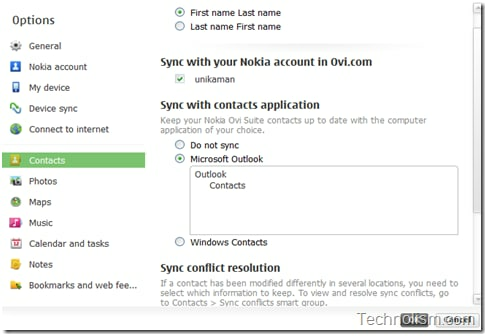 Step 1.The user needs to connect the Nokia phone to PC with a USB cable and then has to launch the OVI suite from where the option of Sync and then Sync Option is to be selected. 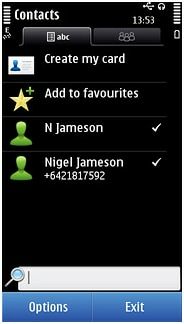 Step 2.On the left panel the user needs to select contacts and then MS outlook option which can be seen below. Step 3. Now the sync all button is to be hit. Step 4.This will make sure that all Nokia contacts are copied to MS outlook and hence saved to the computer. Step 1.The user has to connect the iPhone with the PC to initiate the second phase of the process. Step 2.The iTunes software is to be launched to make sure that the device is detected and the info tab is also accessed. 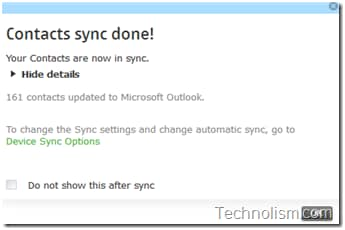 Step 3.The user then needs to make sure that the “Sync Address book and Contacts” is selected to make sure that the MS outlook address book is not only synced but the contacts are also transferred to the iPhone to complete the process.